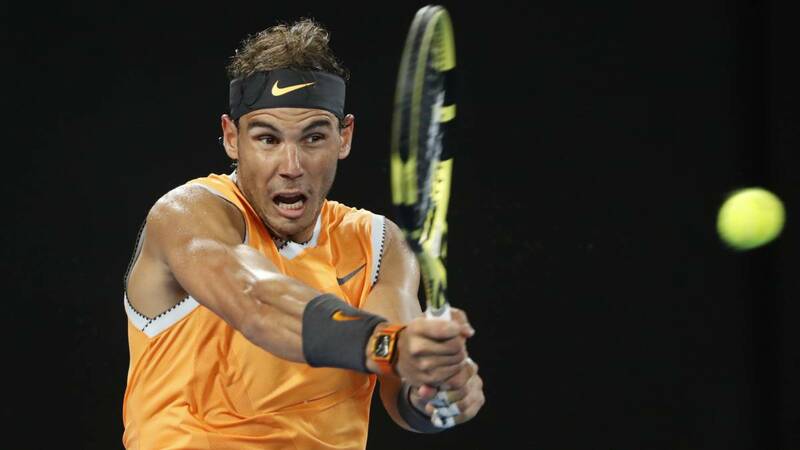 Rafa Nadal won with effort but much authority to Alex de Miñaur, the third local player who leaves the tournament. The Balearic put 75% of his first services. With more effort than the scoreboard reflects, 6-1, 6-2 and 6-4 in 2h: 22, the same result with which he already won Alex de Miñaur in the same round of the last edition of Wimbledon, Rafa Nadal has added this Friday su victoria number 250 in 286 games of Grand Slams. ahead has Novak Djokovic (260) and Roger Federer (342). Another mark to add in your history. Without injuries, it would surely be higher. To get it, he had to deal with the enthusiasm of the Spanish mother and Uruguayan father of only 19 years old, who escaped to the RFET, and beat him by overcoming his aggressiveness. Some games went on a lot because the boy is of the race of those who do not give a ball for lost, the Nadal race. That's why they collided so much and so well. Until 1-1, without going any further, they spent 15 minutes. The Spaniard was always in control, with a rhythm and exchanges that favored him, in a type of game that comes to his hair to gain confidence. More legs fresher even than before Ebden last Wednesday. The grandstand enjoyed great hope aussie, although he could only add three games in the first two sets, because in the end he won 76 points to number two in the world and that his people are deluded, although among the spectators there were many Nadal fans. And that in this tournament has been the scourge of the Australians after falling to Duckworth, Ebden and De Miñaur constecutively. "I do not think my popularity here comes down for that," he joked later. In fact, there were enough support signs in the stands of the Rod Laver Arena. "We love Rafa" ("We love Rafa"), said one of them. The reality is that Nadal is good at young players and was better in everything: direct serves, speed of service, percentage (he got 75% of first services), points on the net, winning shots ... Only Miñaur was finer in the unforced errors. Reasons for the optimism before facing in eighth place his next rival, the reborn Tomas Berdych. He has returned for his privileges the Czech, who has a negative balance against Nadal (19-4), but a favorable precedent in Melbourne: won in the quarterfinals of 2015, although that was the worst game year of Manacor, as he same stands out if you are asked about your career. On Sunday you will have the opportunity to get closer to a horizon where Dimitrov, the new disciple of Agassi, and Federer could be waiting for you.